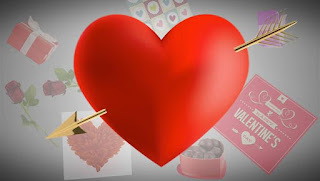 Valentine’s Day in Spanish Speaking Countries: For Love and Friendship - Hey Lovers !! Are you looking for Valentine’s Day culture and meaning in Spanish speaking countries. Chocolate, flowers, dinner, dancing, and most of all love. Everywhere you look on Valentine’s Day you can see love-birds holding hands and trading sweet poems and gifts, and friends exchanging Valentine’s cards, balloons and hugs. Valentine’s Day can be celebrated by all and in many different ways, depending on where you are in the world. In most of South America, Valentine’s Day is known as “El día del amor y la amistad,” or Love and Friendship Day. This special day is not just for lovers! Many groups of friends exchange Valentine’s cards and gifts and later go out for dinner, all in the name of friendship. In Spain, Valentine’s Day is celebrated in much the same way as in the U.S. and the U.K. But many people also celebrate “El día del libro y la rosa” on April 23 in which men give their special lady a rose and she gives him a book in return. Colombia celebrates Valentine’s Day on September 20, where it is very popular to send gifts from secret admirers. Bolivia also favors September for its day of love, celebrating el día del amor on September 21 in conjunction with Students’ Day, Day of Spring, and Children’s Day. It is common to give cards, flowers, chocolates, and teddy bears to friends, family, and loves. No matter where you are, Valentine’s Day is a day for love and friendship and a great time to show those you love how you feel. Hope we have cleared your excitement level to know about Valentine’s Day in Spanish Speaking Countries: For Love and Friendship.